Huang Yong Ping may be considered a pioneer in the connection between Western and the Chinese art. In fact, questioning the clichés of the West and the East lies at the core of his work, and particularly the established concepts of tradition and modernity, order and chaos, history and science, truth and power. Hou Hanru wrote about his work: “Huang Yong Ping as an artist, and moreover, as a thinker, plainly incarnates the creative life (described by Deleuze and Guattari as calling ‘Truth’ in question again and again) by struggling with chaos and doubting ‘truth’”. Huang Yong Ping was the founder of the Xiamen Dada movement in 1986. He moved to France in 1990. In his work, often referring to “alternative” systems of faith, either Yijing, Zen, or European Mediaeval Theology, or Wittgeinstein and Foucault, he looks to invent “other systems” of representations of the world and its destiny. One of the subjects that he explores is animals, deformed and transformed according to various “obscure” cultural references. Their metamorphose hence become universal metaphors of contemporary issues of our society. In his talk within the unique setting of the National Museum of Science and Technology Leonardo da Vinci on the 500th anniversary of Leonardo’s death, he will show in his presentation how the iconography of Leonardo has influenced his early works. Batôn Serpent is the title of the show he held in Italy at the MAXXI a few years ago. The title of such an eschatological exhibition refers to the famous passage in the Bible about the miracle in which a rod is turned into a serpent. This is the first time. 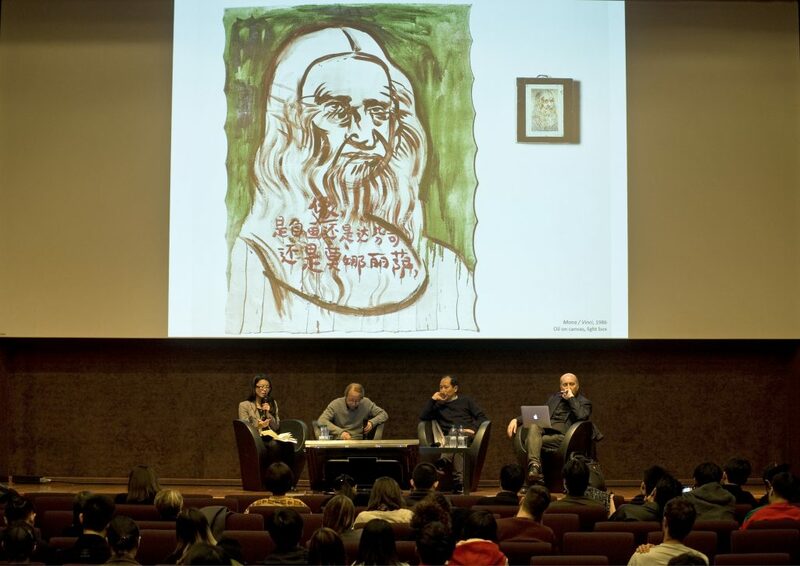 In the conversation, Huang Yong Ping and Hou Hanru talk about the first wave of the migration of Chinese artists, of which the work of Huang is a brilliant paradigmatic representation. Cf. 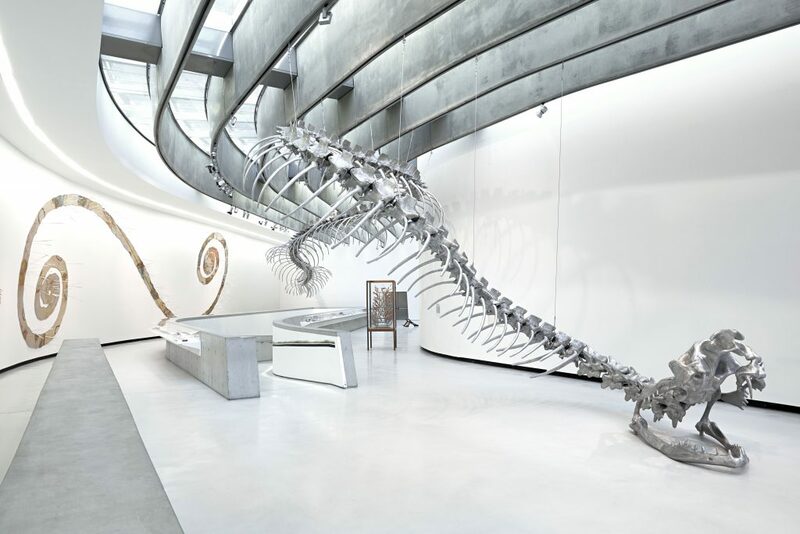 Hou Hanru: “Bâton Serpent, Huang Yong Ping’s Project for the MAXXI”, in Huang Yong Ping, Bâton Serpent, MAXXI, Milan: Mousse Publishing, 2015, pp. 6–7. This quotation has been slightly modified. Hou Hanru is a prolific writer and curator based in Rome, Paris and San Francisco. He is currently the Artistic Director of MAXXI (National Museum for 21st Century Art and National Museum of Architecture), Rome, Italy.